Brooklyn, NY (June 4, 2018) – The Independent Filmmaker Project (IFP) announced today the projects selected for the fourth annual Screen Forward Labs, IFP’s yearlong fellowship for content creators with story-driven, serialized projects. The program kicks off today, running June 4-8 at the Made in NY Media Center by IFP located in DUMBO, Brooklyn including for the first time both non-fiction and fiction series aimed at television and digital platforms. “We are thrilled to be able to expand this year’s slate of incredible projects to also include nonfiction along with fiction serialized content. This year 73% of projects selected are created by female creators and 50% are led by all-female teams,” said Joana Vicente, IFPs Executive Director. The Labs provide multiple levels of mentorship throughout the process, to be overseen by 2018 Lab Leaders Nick Borenstein (Content & Programming Consultant) and Neerja Narayanan (Creative Producer, Sony Pictures International Productions), as well as speakers and workshop leaders from CNN, First Look Media, IFC TV, Olive Productions, Pulse Films, Starz, and Vice, as well as The Knick writer-producer Steven Katz, and series creators Radhika Vaz (Shugs & Fats) and Maral Satari (Manimal Kingdom). During its 40-year history, IFP has supported over 10,000 projects and offered resources to more than 20,000 artists working at the intersection of film, television, VR and new media. Inspired by the successful long-running IFP Filmmaker Labs that focus on helping directors complete, market and introduce audiences to cutting edge first-features, the Screen Forward Labs will support innovative, series content creators with $10,000 worth of services and year-round support. Under the leadership of IFP Head of Programming Amy Dotson and International and Episodic Manager & Producer, Gabriele Capolino, the Labs will provide 12 teams of creators with the knowledge, resources and mentor support necessary for developing strong pitches, securing financing to go from pilot to series, creating marketing strategies and finding unique avenues for the distribution of their work. Individualized attention for each project will also be paid to building engaged audiences, as well as long-term strategy for career sustainability and launch. The Labs are designed for innovative showrunners and creatives with fiction and nonfiction serialized projects created on all platforms and formats including web series, VR, or app based work. All projects must have at minimum representative sample visual content (a completed episode, demo, excerpt) already in place, and cannot have already launched their project publicly. 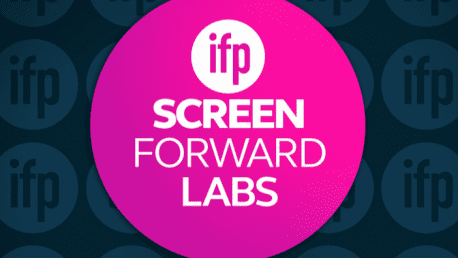 The Screen Forward Labs will culminate with all projects presenting and pitching to investors, online distributors, network executives and tech companies at IFP Week 2018. And post-Labs, all content creator teams will receive a free, six-month residency at the Made in NY Media Center as well as ongoing individualized access to classes, workshops and support from industry and creative mentors. • Changed World (Sci-Fi): starvation, exploitation and mutated beasts are constant threats to survival in this post-apocalyptic world set thirty years in the future, overcome only by the endurance of the human spirit. Dan Cooper (Creator, Director, Writer, Producer, Executive Producer, Editor). The IFP Screen Forward Labs are made possible by the generous support of our lead sponsor, the Time Warner Foundation.